Take Exit 1-A off of I-20 and go north. Casino is immediately on the left and the campground is farther north on the right. The campground is not easily seen from the road but there is a large sign that indicates where to turn. Overnight parking is possibly allowed but there is not much room in the casino parking lot due to the parking garage. Pull thrus, W/S/E, 30 and 50 amp, cable, WiFi, coin laundry, propane, showers, pool, 24 hr shuttle to casino available with phone in office. There is free unsecured WiFi but it is extremely slow. The RV park was very nice and quiet. They said they could only take up to 59' but they fit us in at 65'. Put us in last roll so said it was ok if we hung over a little bit. Very nice staff. Also said if they couldn't fit us in we could dry camp in parking lot right next to park. Cost was $32 a night. They have a 24 hour shuttle to Casino. I called early in the day for a reservation. Check-in was at 4pm but we arrived around 3pm and were given a site. We planned to stay overnight but ended up staying an additional night to catch up on some rest. It's located only 4 blocks from I-20, past the casino and hotel. The park is in a basin so there's a steep downhill road and sharp right turn to get to the office. All sites are pull-thru with cement pads. Very level. Hookups are way in the back, particularly the sewer which is at the back end of the pad. We ended up using 25' of sewer hose stretched out to connect. Pad was a little too narrow for our motorhome. Water pressure was awesome. Wifi was weak. No playground, no off leash dog park but there's plenty of grassy area in the perimeter to walk the dogs and it's kept fairly clean. There's a small trash bin every 2-3 sites. Security drives thru 24/7. Park is really lit up at night, street lamps everywhere, feels almost like daytime. This is a well-maintained park. We saw them trimming trees and removing dead branches. You can get to the casino by calling for a shuttle and they pick up/drop off at your site. Office staff was helpful, personable. We ate at Bella's Cafe in the casino. Food was good, menu is limited, mostly sandwiches, salad, pizza, and other light fare. We would certainly return. 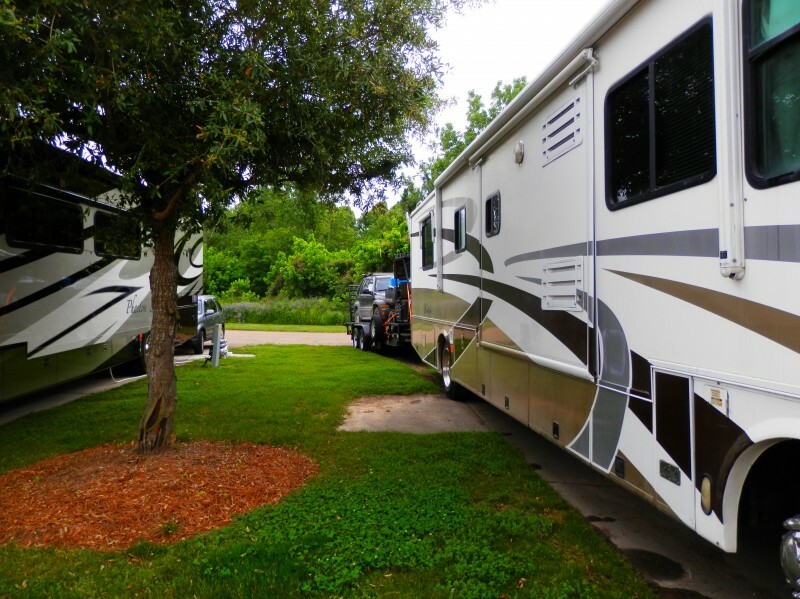 We just stayed at Vicksburg MS at the Ameristar RV park (formerly Isle of Capri) Diamond Jacks has purchased the old Isle in case you want to update your website. The camp was wonderful! Clean with friendly helpful service. Price was about $23 for 30 amp and 50 was available for a little more. You could get the stay comped at 50 bonus (which they told me was about $150 worth of play) but must be done each day before leaving the casino. A shuttle is provided from the part to the casino as it is on the other side of a STEEP hill that we did walk, but most would prefer taking a shuttle. There is no dry camping next to the RV park even though there is a huge parking lot. We overheard someone ask and they were informed security would knock on camper each hour. 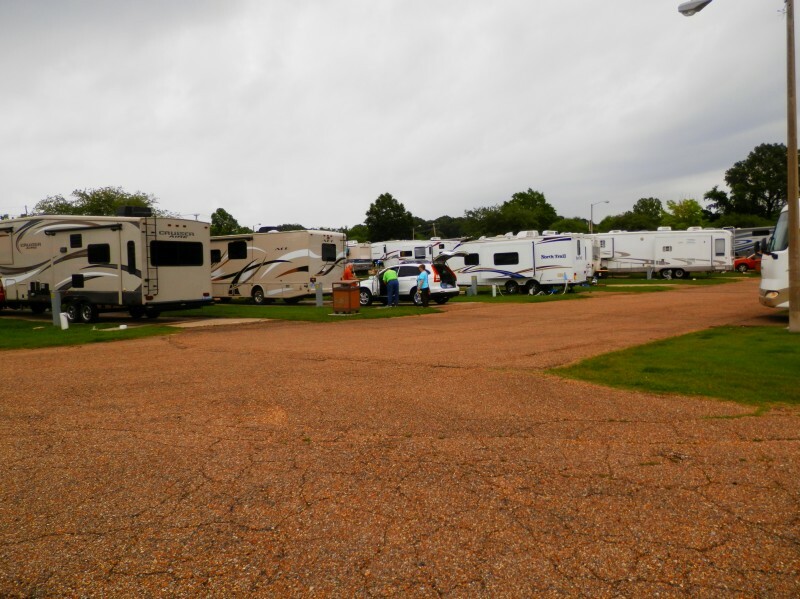 Ameristar at Vicksburg, MS RV park was quite clean although sites are a little short. $25/nite. No discounts. The Ameristar does have a parking lot, but it is generally very full. The Isle of Capri has a good RV park. 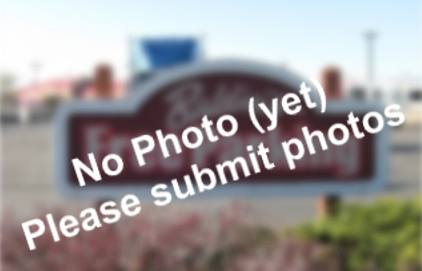 There is an overflow lot right beside the RV park. The Isle has been sold and I don't know the new owners name. The casinos run shuttles from the bluff parking lots. The RV park had one about every 30 minutes, and sometimes, more often. Special Note. Vicksburg is on a bluff overlooking the river. The parking lot for Ameristar, and the Isle RV Park are both on top of the bluff. No RV'er should even consider driving their rig down the bluff into a casino parking lot. The drives are ALL sharply downhill. Hello, love your site. I found it on www.Militarycampgrounds.us. We just returned from a 90 day RV trip. 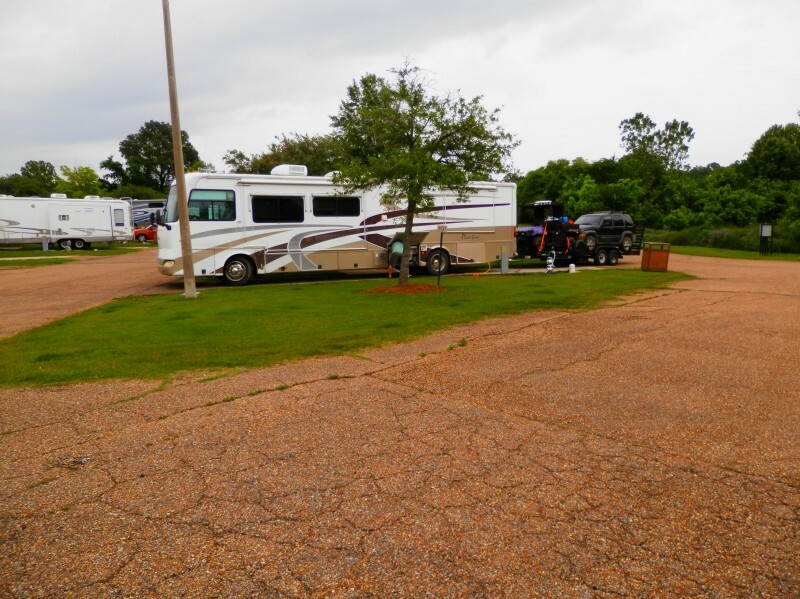 We stayed at the casino RV park in Vicksburg. We followed the instructions to the Isle of Capri Casino's RV park printed in the new Trailer Life Directory. The casino & RV park have changed ownership. Both are owned now by Ameristar. To add a bit of mystery, the name on the large sign for the park says "Diamond Jacks RV Park". I'm not sure if that was an interim name, another owner or what? But I'm sure the shuttle takes you to the Ameristar Casino & the office swears Ameristar now owns it. It was a nice park. Easy access, all large pull thru's. Showers worked great. Fresh maintenance & painting going on (always a good sign). Nice folks in office (southerners of course). Besides the lack of trees, I have nothing but good to remember about it. Cost us about $14 per night (full hookups w/e/s). Keep up the good work. 67 concrete pads, all pull thrus, & is right off of Interstate 20. Phone hookup at each site.